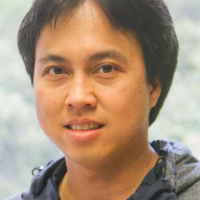 With more than ten-year of experience in computer programmer, Kanok has worked on a variety of projects that include enterprise content management, workflow and mobile applications. Kanok has experience in a number of programming languages such as C, C#, VB, Java and also has been worked as a technical team leader for mobile application. He is working on mobile application using Nativescript for both Android and ios. Kanok spend most of the time with his family. In the free time, he usually travel with his wife and his son or his friends and has been known to write personal mobile applications. He loves photography and play any kind of sports. Kanok graduated a bachelor’s degree from Burapha University, Thailand in Computer Science and a master’s degree in business from Thammasart University, Thailand.